Fuxin's diesels worked all traffic to or from Wangying Mine during our November 2015 visit. 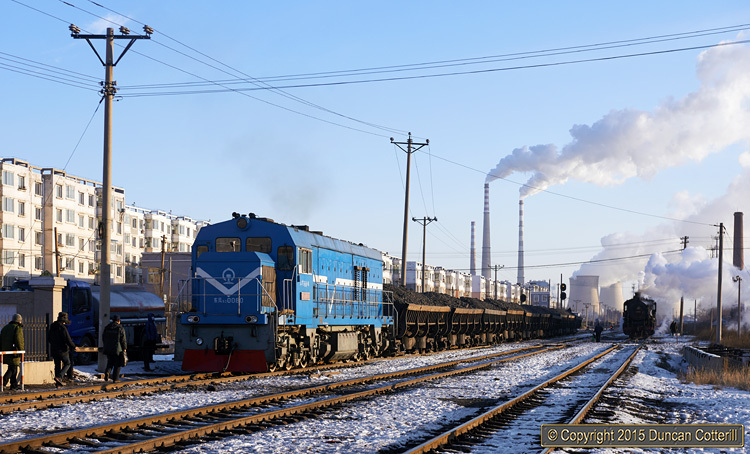 DF5D.0080 propelled ten spoil tippers east from Wangying through Ping'an towards Wulong Yard on the morning of the 26th. From Wulong Yard the spoil would be taken to Wulong tip in two five-wagon trains worked by SYs.